Any unilateral change in the status of the Golan Heights would be a direct violation of UN Security Council resolutions, Russian Foreign Minister Sergei Lavrov told journalists in Moscow, Wednesday, in an apparent rebuke to Prime Minister Binyamin Netanyahu. “The status of the Golan Heights is determined by the resolutions of the UN Security Council. Changing this status bypassing the Security Council, from my perspective, would be a direct violation of these resolutions,” Lavrov said according to the Sputnik news agency. Sputnik said Lavrov’s comments had come in the context of remarks made on Monday by Netanyahu during the dedication of a synagogue at the Ein Keshatot archaeological site on the Golan Heights. Tensions between Israel and Russia have surfaced following the September 17 incident in which a Russian intelligence plane carrying 15 military personnel on board was shot down by Syrian air defense missiles during an Israeli strike on an Iranian munitions transfer to Hezbollah in northern Syria. Following the incident, Russia said Israel was responsible as it had used the intelligence plane as a decoy. 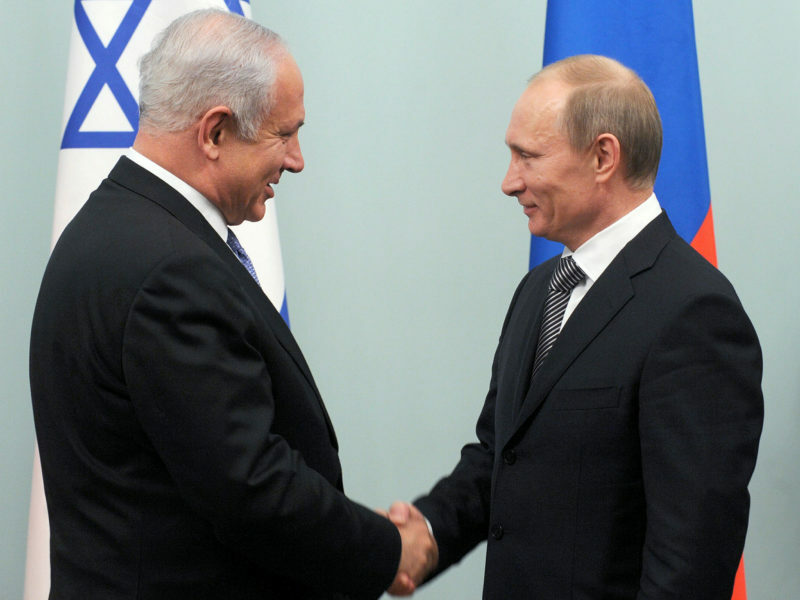 Earlier this week, Netanyahu said he had spoken to Putin and the two would meet in the near future.